After following my creativity for the past thirty years I was beginning to wonder where all my different creative avenues would take me, or if they would ever meet in one place, and gratefully, gourds are that meeting place. 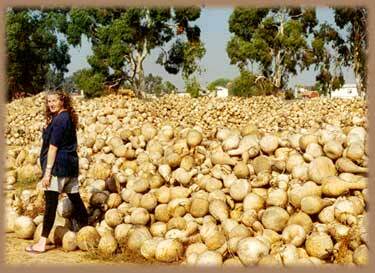 Here I am at the Gourd Factory, in California where I was "nauseous with choice" for the first time,selecting my gourds for the next years work. I feel very fortunate to have gourds as they are very generous in inspiring my work and play.